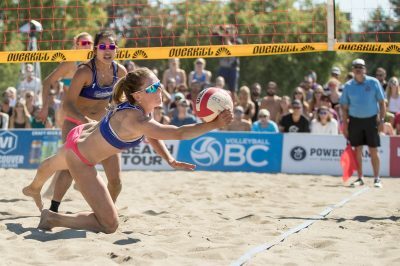 Come Watch Some of the Best Pro Beach Volleyball Players at Vancouver’s Kits’ Beach, July 13-15th! 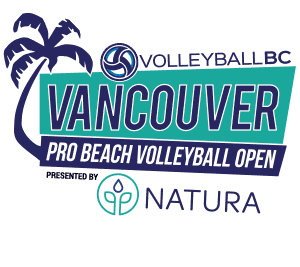 After months of planning, the 2018 Vancouver Open is less than one week away. 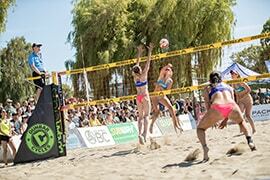 This year’s event will feature some of the best pro beach volleyball players from Canada, the United States and the world. This year, the Vancouver Open has received an unprecedented amount of interest with more than 90 teams currently registered for the event, including, former Canadian Olympians, Josh Binstock (Richmond Hill, Ont.) and Jamie Broder (Victoria, B.C.). Binstock will be hitting the sand with his partner, Daniel Dearing, while Broder will be teaming up with Denise Wooding. Wooding started out slowly on the VBC Pro Tour, but has finished second in her last two events (Jim Clive Cup & Penticton Pro). 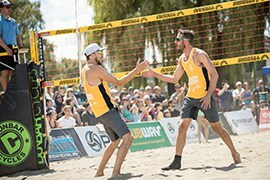 The event format sees the Top-24 men’s and women’s teams receiving byes into the main draw, with the remaining teams playing in a qualifying event on Friday, July 13, 2018 to determine the other eight men’s and women’s teams. The Top-24 teams are ranked based on their FIVB results, VBC points and wild card selections. Friday, July 13, 2018 – Friday Qualifier, 8:00 a.m. to 5:00 p.m.
Friday, July 13, 2018 – Players’ Meeting, 6:00 p.m.
Saturday, July 14, 2018 – Main Draw, 9:00 a.m. to 6:00 p.m.
Sunday, July 15, 2018 – Men’s and Women’s Quarter-finals, 8:30 a.m. & 10:00 a.m.
Sunday, July 15, 2018 – Women’s Semi-finals, 11:30 a.m.
Sunday, July 15, 2018 – Men’s Semi-Finals, 12:30 p.m.
Sunday, July 15, 2018 – Women’s Final, 4:00 p.m.
Sunday, July 15, 2018 – Men’s Final, 5:00 p.m.
Dunbar Cycles is excited to be back at the Vancouver Open in 2018 and pleased that their popular downhill mountain bike series’ schedule allows them the opportunity to support both iconic BC outdoor sports. This year they will be taking the athlete’s experience to a whole new level by ensuring athletes have proper nutrition, hydration, medical assistance and massage therapy during the event. Dunbar Cycles would also like to encourage people to save on the cost and hassle of parking and ride their bike to the Vancouver Open this year. And if you do ride your bike down, Dunbar Cycles will have a place park your bike, with security, so that you can enjoy the sun, sand and great volleyball action without worrying about your bike. The Stanley Park Brewing Beer Garden is sure to be the best place for the 19+ crowd to enjoy a refreshing cold one, while enjoying all the action of the Vancouver Open. The beer garden offers lots of seating, a fun atmosphere and great views of feature court and all the breathtaking scenery in and around Kits Beach.